Over time, stained and sealed wood surfaces will become affected by the interior and exterior elements. We offer a variety of services and scopes of work to get your wood surfaces looking great again. Exterior decks and fences are exposed year-round to the elements. Depending on the existing coating, decks and fences will be power washed, sanded, and recoated with the appropriate coating to protect and seal surfaces from UV rays and moisture. 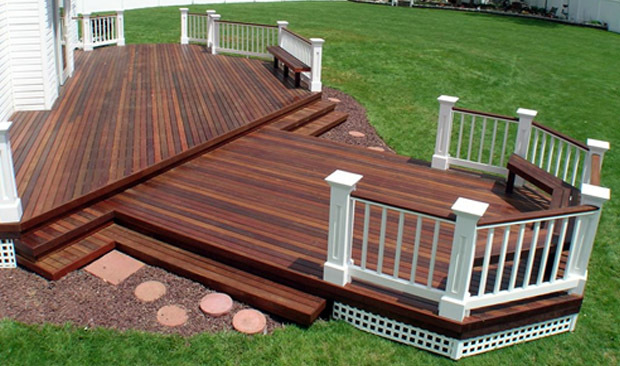 M&E Painting can also power wash your deck and fence in between staining to keep it looking new and clean longer.